Lucien Ballard, A.S.C. (6 May 1908 – 1 October 1988) was an American cinematographer. 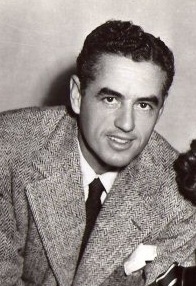 Ballard began working on films at Paramount Studios in 1929. He later joked in an interview that it was a three-day party at the home of actress Clara Bow that convinced him "this is the business for me". He began his career loading trucks at Paramount and became a camera assistant, often working for director Josef von Sternberg. Von Sternberg allowed him credit for his work on The Devil is a Woman (1935), and the two shared a Venice Film Festival award for Best Cinematography in 1935. He also worked with him on The King Steps Out (1936), based on the life of Empress Elisabeth of Austria. On the set of The Lodger (1944), Ballard met and then married actress Merle Oberon; they remained married from 1945 until 1949. After she was involved in a near fatal car crash in London, he invented a light which was mounted by the side of the camera, to provide direct light onto a subject's face, with the aim of reducing the appearance of blemishes and wrinkles. Named the "Obie", the device benefited Oberon, who had sustained facial scarring in the car accident. The Obie became widely used in the film industry. In 1941's Howard Hughes film The Outlaw, Hughes cast Jane Russell in the lead and had numerous shots of her cleavage, which got the attention of the Hollywood censors. The film was shot in 1940 and 1941 but took five years to be released to selected theaters. Ballard was the camera man for the screen tests, did some of the second unit work for director Howard Hawks, and assisted cinematographer Gregg Toland on the first unit crew. In one of his first films, Morocco (1930), directed by von Sternberg, Ballard worked with assistant director Henry Hathaway. This relationship with Hathaway came back to benefit Ballard when Hathaway himself became a director. They worked together on several films, including Diplomatic Courier (1952), O. Henry's Full House (1952), Prince Valiant (1954), The Sons of Katie Elder (1965), Nevada Smith (1966), and True Grit (1969). The last, because of the natural beauty of southwestern Colorado, garnered Ballard acclaim among his peers. After working with Budd Boetticher on The Magnificent Matador (1955), they worked together several times, including The Killer Is Loose (1956), the television show Maverick (1957), Buchanan Rides Alone (1958),The Rise and Fall of Legs Diamond (1960), A Time for Dying (1969), Arruza (1972), and My Kingdom For... (1985). Another relationship of importance was with Sam Peckinpah. They worked together on The Westerner (1960 television series), Ride the High Country (1962), The Wild Bunch (1969), The Ballad of Cable Hogue (1970), The Getaway (1972), and Junior Bonner (1972). Ballard was nominated for an Academy Award for Best Cinematography for The Caretakers (1963) and won the National Society of Film Critics award for Best Cinematography for The Wild Bunch. He worked on more than 130 films during his 50-year career. Ballard died in a car accident at the age of eighty in 1988. This page was last edited on 29 November 2018, at 10:48 (UTC).